When it comes to traveling, Hitha Palepu knows the journey is just as important as the destination—and packing is always the first step. As a former consultant, Palepu has traveled more than 500,000 miles around the world, so it’s safe to say she knows a thing or two about packing light and well. 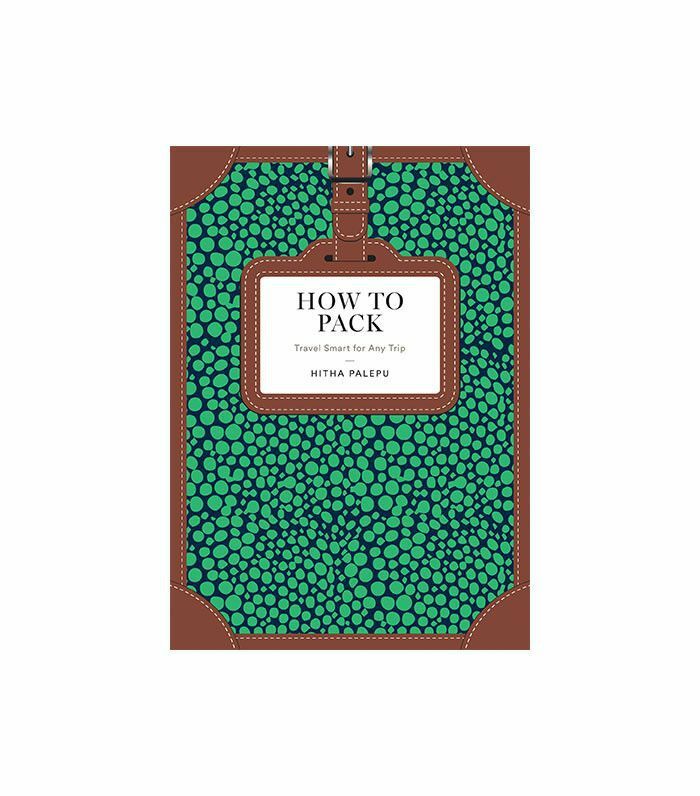 She reveals all her hacks and tricks in her new book, How to Pack: Travel Smart for Any Trip, an illustrated guide to narrowing down one’s wardrobe, storing toiletries and makeup, and packing must-have accessories. In this exclusive excerpt, Palepu takes us through her seven-day packing timeline so you’ll never forget anything again. When you pack at the last minute, you likely will lack confidence that you have packed everything you’ll need. I had a client who always checked an enormous bag, thinking that if she brought lots of items, there would be a lower chance of forgetting something. What she ended up with was redundancies (think five black T-shirts) and no small essentials like hair ties. After she tried the packing timeline, she found she was packing in a fraction of the time and bringing a third of the stuff. We often fear the unknown, and we use the items we pack as security instead of employing our best organizational and planning skills. You spend months planning a trip, right? So why are you packing the night before? This is when the packing timeline comes in handy. Let’s take a look—and don’t worry if you don’t know what some of these things are yet. You will. Check your packing station. Decide which suitcase you’re bringing and make sure it is in good condition, with a luggage tag. Are the wheels tight? Is the handle working? Keep the bag open and out for inspection. Make sure your toiletry bag is stocked. Load your travel wallet. Add your passport. Print any travel confirmations you’ll need, as well as maps in the language of the country to which you are traveling, if appropriate. Print your itinerary. Take a glance at your old photos from other trips and get excited! Check the weather at your destination for a preliminary idea of what’s ahead. Take out your blank packing list (more on that later) and start listing what your power pieces will be. Check to see that they’re all clean; if not, dry-clean or launder them. This day covers the biggest bulk of packing: you should gain a general sense of what clothes you’re bringing, so that you can choose your accessories tomorrow. For adventure trips, this includes gear. Pick out your accessories and shoes. Make sure everything is in good condition. Polish the shoes or drop them off at the cobbler. Clean out any extraneous things in your handbags. Pack your clothes using your packing list, checking off the items and editing as you go. Invite a friend or two over for consultation. Make a fun night of it with wine and cheese, and put on music. If they are going on the trip with you, even better, but it’s not a requirement. Your friends will help you edit out what isn’t necessary and give you the confidence that you are packing all the right things. Treat yourself to in-flight goodies, like a book or magazines and snacks. Using your checklist [which you can download], pack your toiletries, shoes, and accessories. Get any pre-trip beauty treatments you’re planning on—a manicure or pedicure, blowout, or wax appointment. Get a good night’s sleep. Have a great dinner, hydrate, and set your alarm with confidence. Pack your in-flight bag using your in-flight checklist. Remember any last-minute essentials like makeup, medication, eyeglasses, electronics, and important jewelry, or anything precious you would never want to go missing. Now that you’ve developed a bulletproof packing system, find out what clothes deserve a spot in your luggage and how to edit your beauty routine while traveling in the full book below. Reprinted from How to Pack. Copyright © 2017 by Hitha Palepu. Published by Clarkson Potter/Publishers, an imprint of Penguin Random House, LLC.